The 34 hectare Moorecroft site includes shoreline and spectacular views across the Georgia Strait. 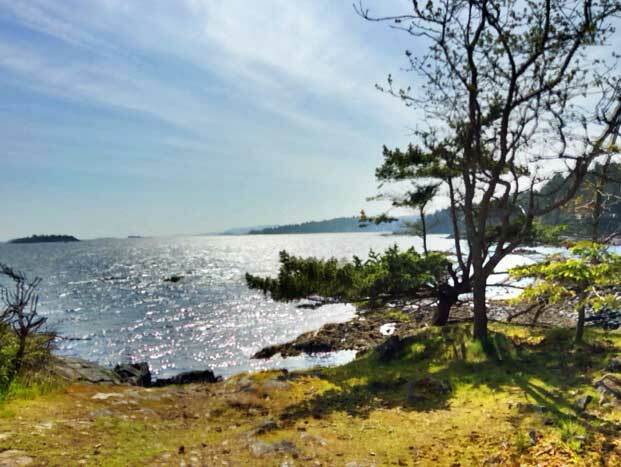 There are approximately 32 hectares of natural forest featuring tree species such as Western Red Cedar, Douglas Fir, Arbutus, Bigleaf Maple, Red Alder and Garry Oak. Two intermittent creeks run through the property, and two eagle nesting sites have been identified. The property also contains a wetland area known as Skipsey Lake, an open field and a network of walking trails. In 2013, Moorecroft Stewards assisted Park employees in the rehabilitation of areas where former camp buildings had been demolished. For more information, read about the native plantings. The park is managed under a Conservation Covenant held by the Nature Conservancy of Canada, which requires ecological protection and enhancement as the highest priority and low impact recreation amenities within a natural setting.